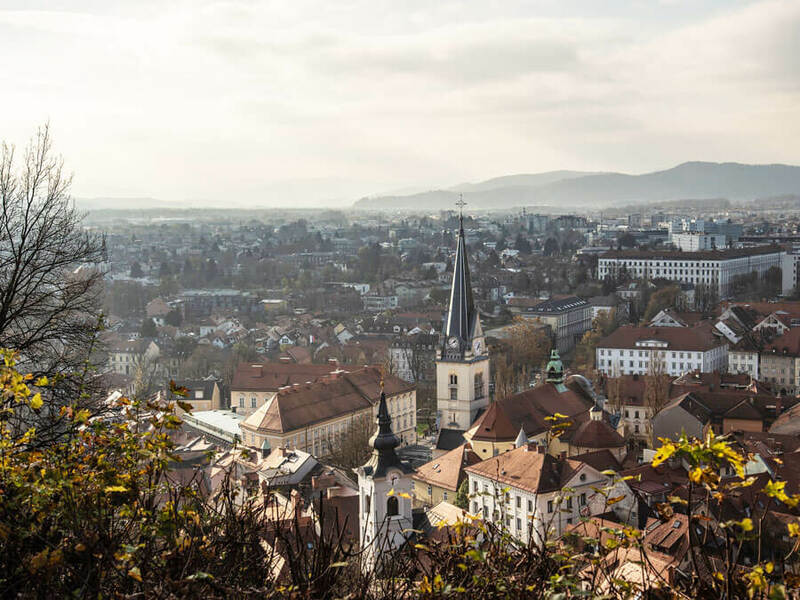 Luckily Ljubljana is a small capital city so you will have no issues getting around by foot or by bike, which takes picking where to stay in Ljubljana easy. 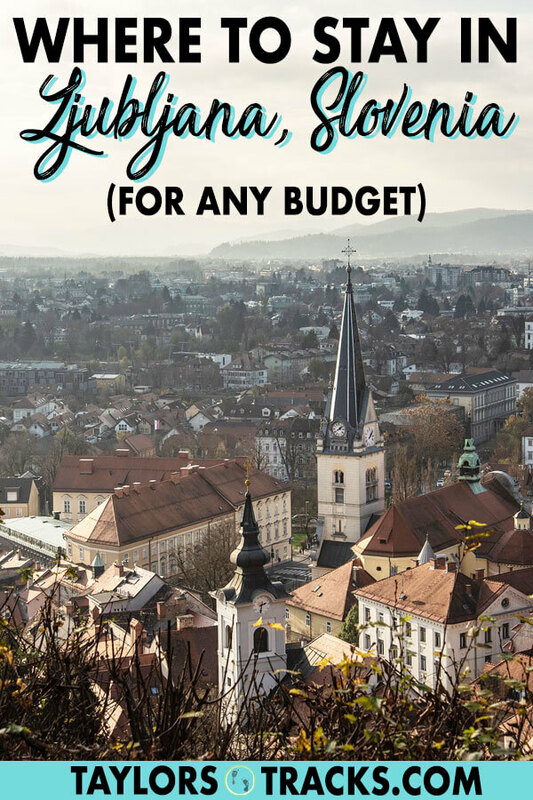 Your only choices involve how much you want to spend and if you prefer Ljubljana hotels, Ljubljana hostels or an Airbnb! This guide will show you a few of the best in each category and for every budget. Enjoy your trip to Slovenia! Disclosure: This post contains affiliate links which I earn a small commission from and are at no additional cost to you and help keep this site running. All images used in this article are from Hostelworld, Booking.com or Airbnb. There’s the city centre (Old Town) and outside of the city centre. You want to be in the city centre so you can explore the city by foot or bike. Luckily the city is small so even if you stay outside of the centre you can grab public transport easily or ride a bike in. 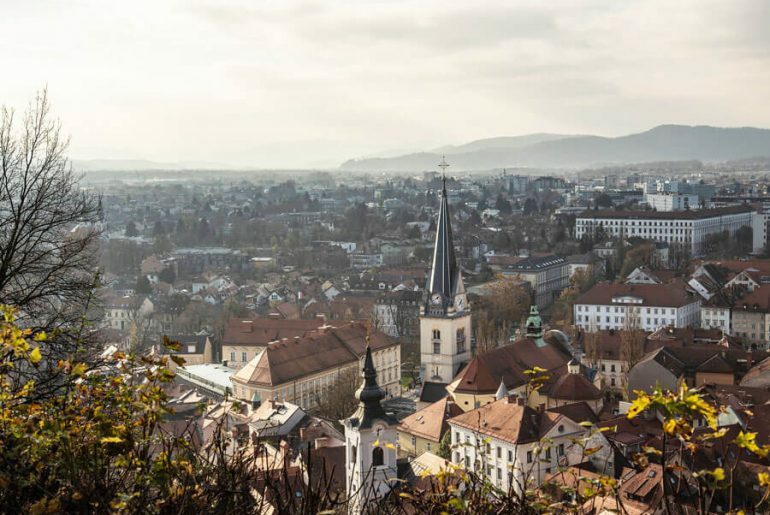 These are the best hostels in Ljubljana for budget travellers who want a cool experience. Have you ever wanted to sleep in a jail? Well it’s possible at Hostel Celica. Even if sleeping in a once prisoners quarters isn’t your thing, there are dorms that don’t have bars for doors. This Ljubljana hostel is the top hostel in the city and is where I personally stayed. The surrounding area is filled with street funky street art and the city centre is a 10-15 minute walk away with the bus and train station less than 10. The hostel is clean, a buffet breakfast is available, there’s a common room and it was voted the hippest hostel in the world by Lonely Planet. If staying in a jail isn’t you cup of tea then perhaps a former bank is? Tresor Hostel is right in the heart of Ljubljana with some of the city’s star attractions within a few steps. This hostel in Ljubljana has one common room built in what was once the banks vault and a second common room has a skylight ceiling. Rooms are bright, colourful and have fantastic quotes on the walls. Tresor Hostel has been named one of the most unique and unusual hostels in the world. A bar, cafe and beauty salon are availble to guests 7 days a week. If you prefer small hostels then Zeppelin Hostel is the place for you. It is too in an awesome location within walking distance to the city centre as well as the the bus and train station. Zeppelin Hostel are experts in trekking in Slovenia and the western Balkans so tours can be arranged through the hostel. It’s also one of few hostels in Ljubljana that have breakfast included in the price. Find the perfect Ljubljana hotel with these budget-friendly options that won’t break the bank but don’t involve sharing a room. And while cheap hotels in Ljubljana are hard to come by, these are among your best bet. Situated right in the Old Town just below the steps to the castle is Adora Hotel, a family-run boutique hotel set in a traditional building. Views from the rooms are either of the castle or the Old Town, both of which are only steps away, including a grocery store if you wish to buy your own food. A back garden and terrace are available for guests to use or guests can visit the bar that serves a wide selection of local Slovenian wine. Less than 900 metres from the bus and train station, Galeria River treats guests with views from their windows of the shining river. 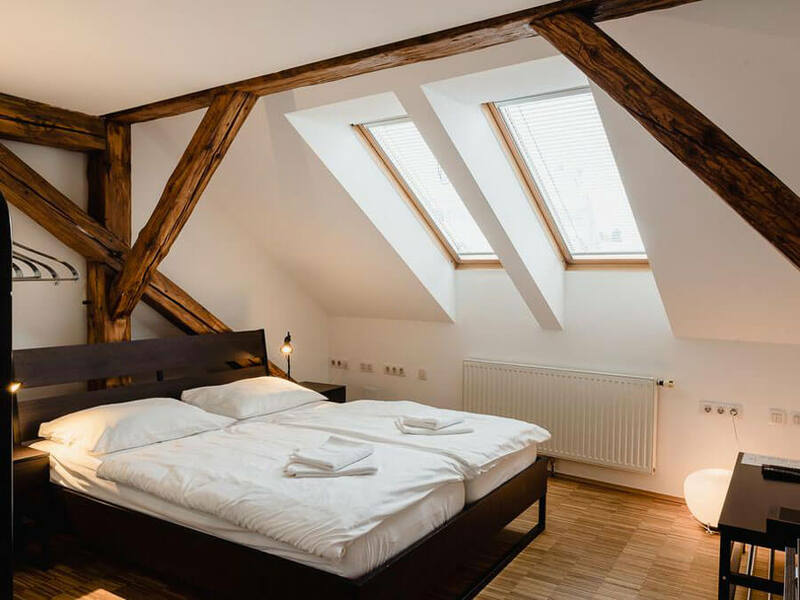 The building is an 18th-century landmark known as Zois Palace that is now the perfect place to rest your head with beautifully bright and simplistic rooms. Each room is equipped with a microwave and fridge, however, studios include a kitchenette. This hotel in Ljubljana allows pets and is close to a number of events that are held throughout the year including markets and restaurants. This affordable bed and breakfast is quite charming and located in a great location with a number of amenities and attractions within walking distance. Previous guests have raved about the coffee, loved the location and adored the price. Each room is modern and there is a garden and a cafe bar for guests to enjoy. Bed & Breakfast Atticus is one of the best places to stay in Ljubljana. These Ljubljana luxury hotels will have you stay in the capital in style. 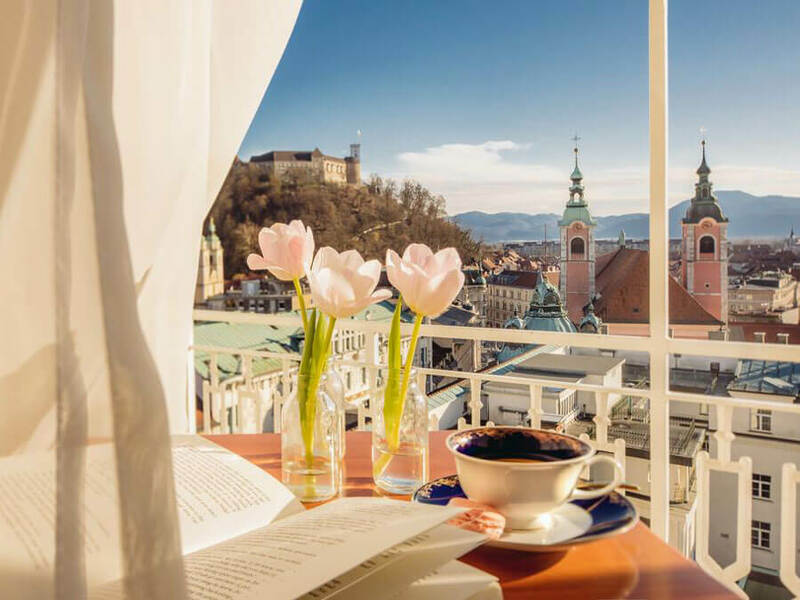 This 4-star hotel is set in an ideal location in the Old Town where guests can reach multiple Ljubljana attractions within walking distance and is one of the best hotels in Ljubljana. The modern and lavishly decorated rooms are bright and colourful, while amenities on-site include a spa, fitness centre, buffet breakfast, a sophisticated restaurant and a well-known pastry shop to satisfy your sweet tooth. It’s hard to get any more central than the Grand Hotel Union that is literally steps away from Prešern Square. The hotel itself is even an Art Nouveau building that is historic. This hotel is definitely the best place to stay in Ljubljana for history. The hotel has been made famous for its Grand Union Cafe that serves coffee, tea, pastries and a selection of international and Slovenian cuisine in a historic setting. Other amenities include a fitness centre, swimming pool (that has views of the castle), saunas, a wellness centre and even shopping all on-site. You bet rooms are spacious and elegant too. 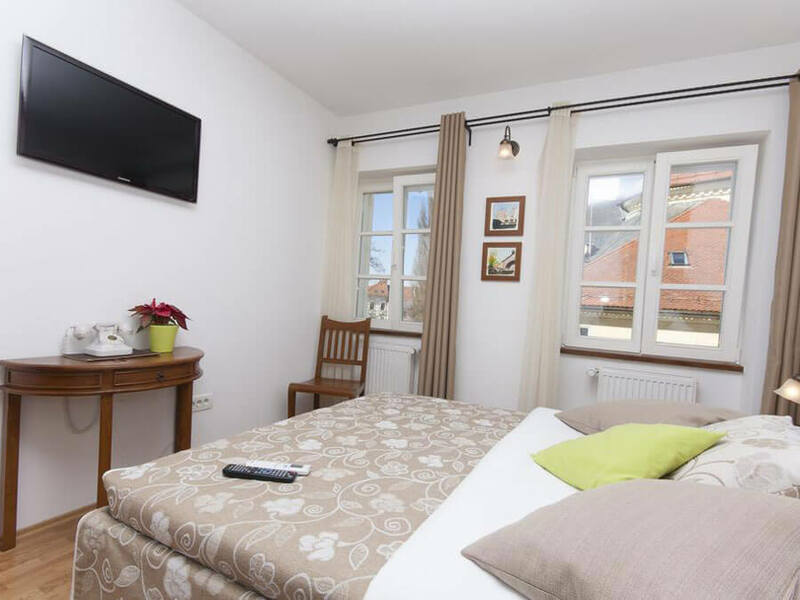 Once again, the property of this hotel is stellar, right in the centre of the Old Town but also in a quiet area so guests can enjoy their peace. 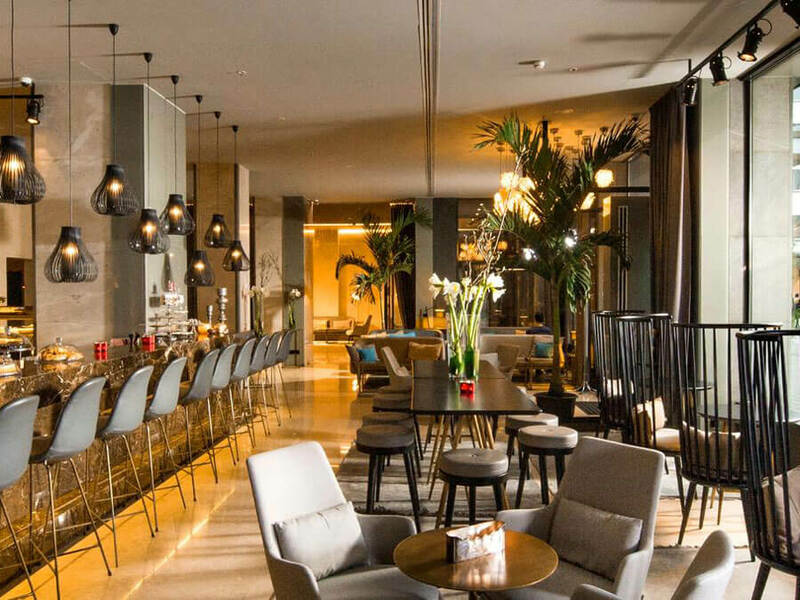 The hotel features a rooftop pool (very rare for Ljubljana), a restaurant with a wide selection of wines, an outdoor terrace and common area with loungers. The accommodation offered can be desrcibed in one word: fabulous. 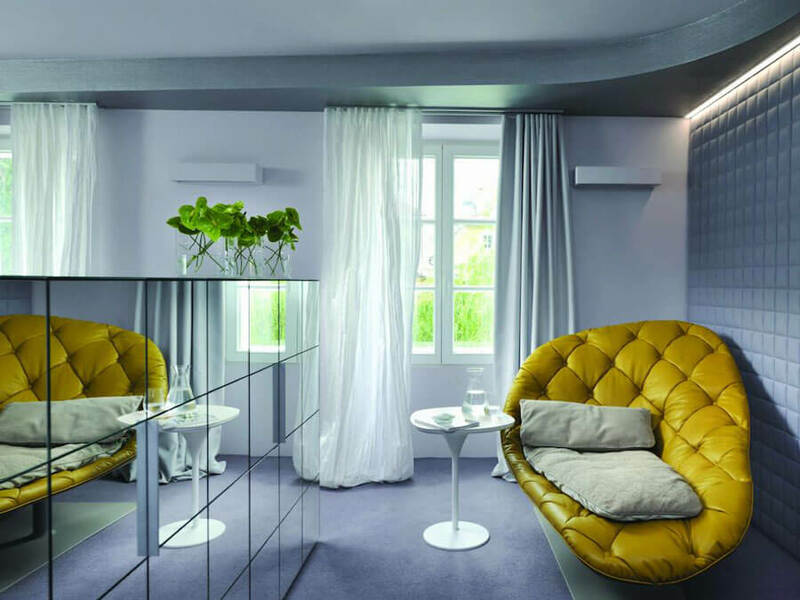 It’s modern, fun and funky but yet still classy. Find the perfect Airbnb in Ljubljana for you to enjoy your stay more like a local. 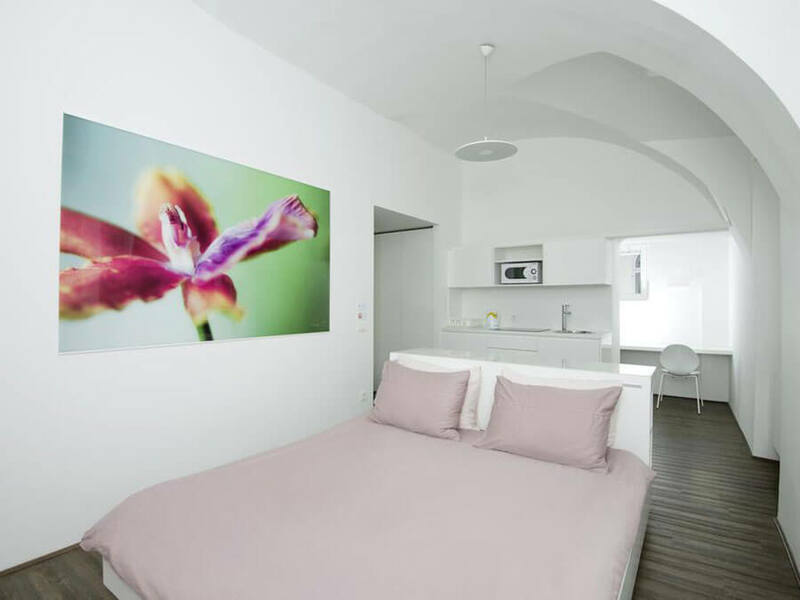 This apartment can sleep 3 people on 2 beds on a quiet street that offers views of the castle. Previous guests have left great reviews, loving the hosts and the location between the city centre and the bus and trian station. David, the host, is a superhost and the apartment has an elevator which is rare in Ljubljana! This apartment in funky but minimalist. It can sleep 5 people in 2 bedrooms in 2 beds. Klemen, the host is a superhost but you get the entire apartment to yourself. The location is ideal, right below the castle and the apartment was renovated in 2018 with big windows letting in lots of natural light. Plus you get free bikes to use to get around town! This cute and affordable apartment is just outside of the city centre and includes free coffee thanks to the superhost, Karmen. The building also has a gym for those who want to keep up their routine and finding an Airbnb with a gym is rare in Ljubljana. There is free parking as well as a bike to use and the property can sleep 2 people in 1 bed.